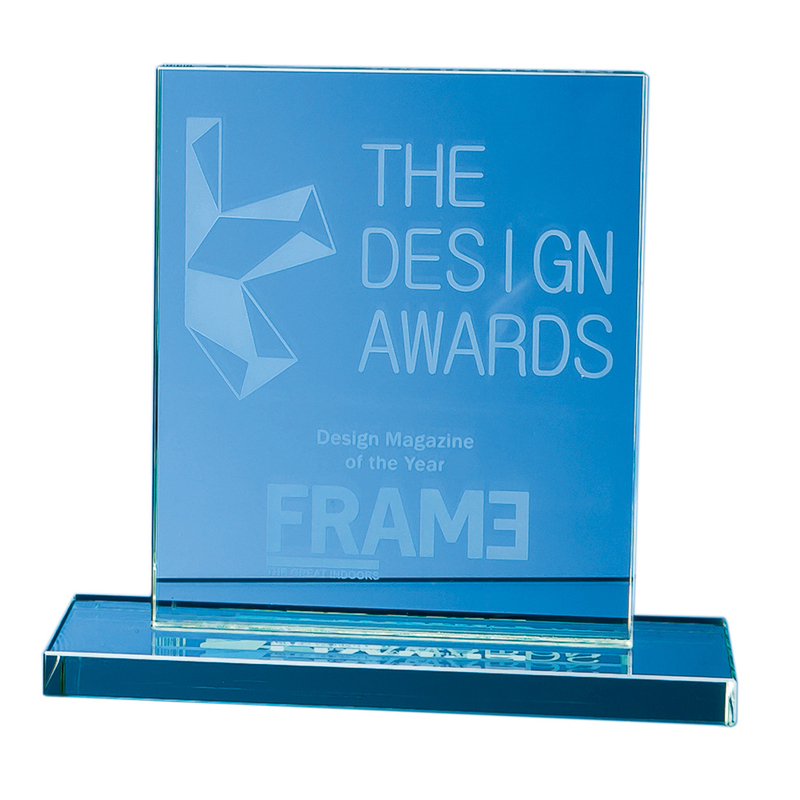 Description: The stylish rectangle award is crafted from 12mm thick jade glass and mounted on a rectangular base. Price includes engraving and foam lined gift box. Notes The price includes sandblast engraving and a foam lined gift box.